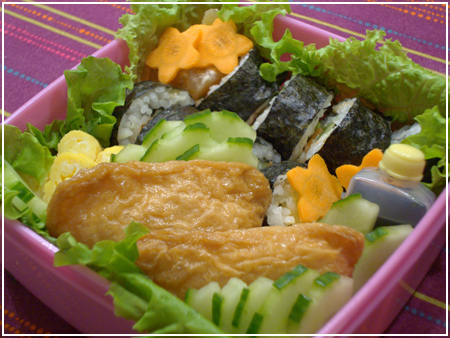 Going on another work-related travel tomorrow, so I didn’t want to spend too much time on cooking. The main attraction of this one is therefore bought – chili cheese tops from McDonalds. 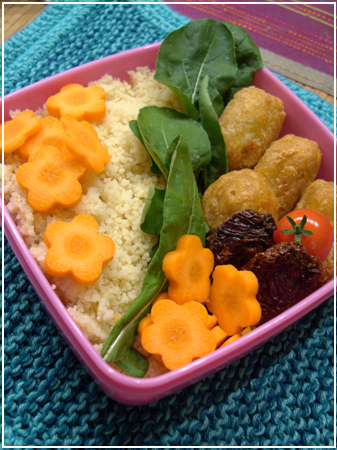 Then there’s couscous, carrot flowers, homegrown rucola and cherry tomatoes, and some sundried tomatoes for extra flavour. 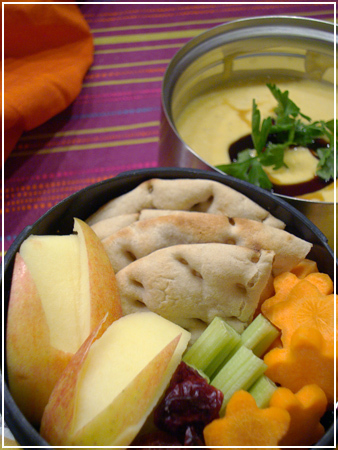 Now I just shouldn’t forget my small fork that goes with that box and I’ll be fine…! 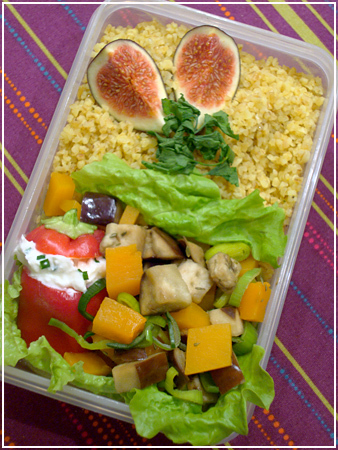 Today’s bento: Bulgur, figs, steamed vegetables and a bell pepper stuffed with yoghurt-feta dip. 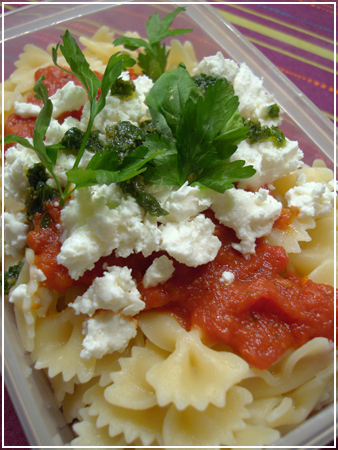 Something less interesting from last week, when my mojo was low and I just made something to take to work: Pasta with a quick hot and sweet tomato sauce, crumbled feta and some basil oil and parsley on top. 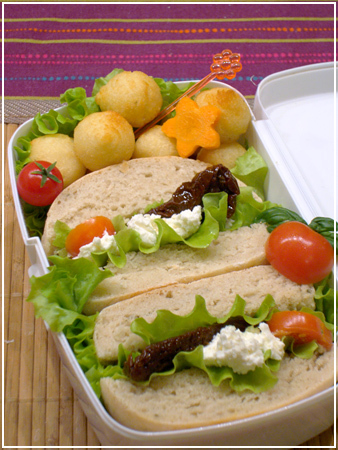 Bento for a long-ish train trip at work tomorrow – homemade rosemary ciabatta sandwiches with creamcheese-feta mix, sundried tomatoes, lettuce and cherry tomato, potato croquettes, cherry tomato and carrot decoration. Flower pick for picking up the croquettes.